An especially exciting life, if you’re lucky, will net enough material for one book. An especially exciting life, if you’re lucky, will net enough material for one book. 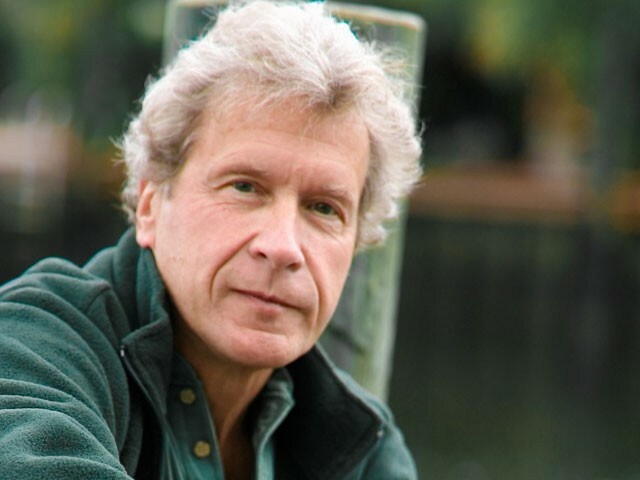 Yet John Perkins, author of Confessions of an Economic Hit Man, has written Hoodwinked. It’s ostensibly the tale of how the world’s economic markets collapsed — and what we need to do to ix them. But on most pages, you can tell that what Perkins really wants to write is Confessions of an Economic Hit Man again. In that book, he talked about his life as a corporate hired gun who tricked Third World nations into accepting Faustian bargains. In Hoodwinked, he mostly talks about that as well. Specific causes-of-the-crisis talk is limited, briefly, to discussion of elimination of one regulation. The rest is largely devoted to a Pat Robertson-esque thesis: The recession is America being punished for the sin of greed. Capitalism would be great, Perkins writes, if it wasn’t for that damn obsession with proit. We need to demand a more ethical form, he says. Turn the book into a big list of bullet-pointed facts, and Hoodwinked would read pretty persuasively. When Perkins gets on a “Corporations do the twistedest things” kick, he marshals enough atrocities to make even Gordon Gekko squirm. But in actual prose, he oversells. He goes ad hominem. Profit-obsession is a “cancer” and a “mutant virus,” CEOs are “robber barons” and “jackals.” Economist Milton Friedman looks like a troll! Just like his troll-like economic philosophy! And if a fact doesn’t support his thesis, Perkins ignores it. He condemns airline deregulation for bankrupting airlines, while never rebutting — or even mentioning — a major fact that you can ind in 10 seconds on the Internet: Airline deregulation reduced ticket prices by 30 percent. Perkins clutters Hoodwinked with repetitive Thomas Friedman-style personal epiphany anecdotes, most of which recount either his childlike wonder at the insight of wise foreigners, or recount his own oh-so-profound answers to town hall meeting questions. Confessions of an Economic Hit Man was a book that could only have been written by Perkins. Hoodwinked is a book that probably should have been written by somebody else.